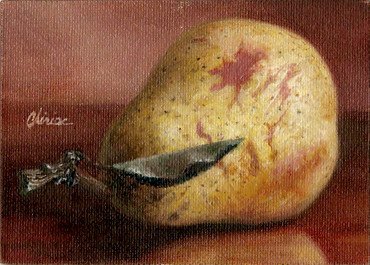 Oil on canvas panel, ACEO, . Definitively, I’m in a mood for fruits. 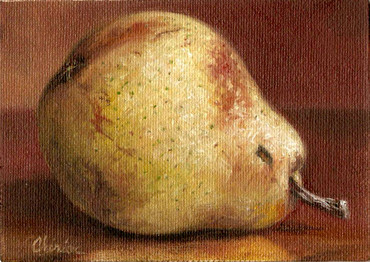 I like pears lately so I painted two more pears and another one is in progress.